As the ecosystem-based trend in fisheries management continues to be implemented worldwide, a thorough background of this new management approach and resulting implementation strategies is needed. Ecosystem-Based Fisheries Management in the Western Pacific presents a full picture of the process changes used in switching from target species based management to EBFM, using a region that is at the forefront of this widely accepted movement. Ecosystem-Based Fisheries Management in the Western Pacific is the outgrowth of a series of three workshops convened by the Western Pacific Regional Fishery Management council. 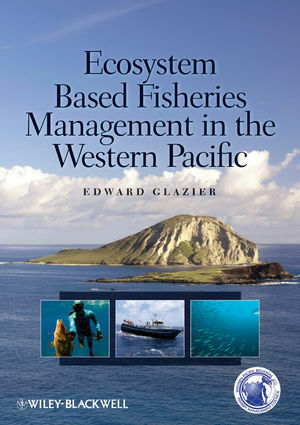 The book follows the logical approach of each workshop, beginning with an assessment of the current state of fisheries management, transitioning through the data sources and modeling systems used to advance EBFM, and ending with practical methodologies for more thorough global implementation in the future. Edward Glazier is Vice-President of Impact Assessment, Inc., a firm specializing in social-environmental research along the coastal zone of the U.S. and abroad.